The USB cable can be used to connect the LIPE-SL Developer Board to a USB port on a PC or laptop. The serial null modem cable can be used to connect the LIPE-SL Developer Board to an RS-232 serial port on a PC. The straight-through cables can be used to connect the LIPE-SL Developer Board to the on-board pin headers for TTL, simple serial terminal, or RX sniffer. 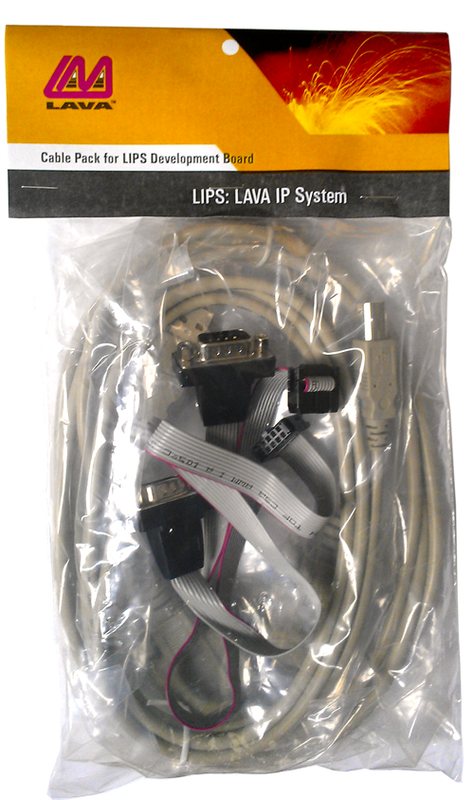 This cable pack, along with the LIPE_SL Developer Board, gives a complete development system for working with LAVA LIPS interfaces.